All games will now be played at the Cicero Twin Rinks! This means that all games will be centrally located at one site. We will use 2 rinks with ALL NEW USA BROOMBALL OFFICIAL GOALS!! Also, we will host a new Men's stand alone C division. We are a "Stay to Play" event. Having a host hotel has been a long tradition of the Syracuse Can-Am and the hotel is a major sponsor to the event. -Note: Facility has plenty of parking, 8 full locker rooms, food and bar, huge lobby area, plenty of seating in both rink areas, those watching can transfer between rinks in either seating area or lobby. -Note: Men's A/B will be divided to A and B after preliminaries. Men's C will be in a division by itself . No team competing in the C division may have more than 2 players that appeared on the 2018 USA Broomball Class A or B men's roster. ALL teams (Men's A,B,C and Women's) will play Friday Night! -Note: With a significant upgrade in facilities, cost of the venue is higher than previously used rinks. Each team will get at least 3 games with most teams getting 4 games. -Note: Your team is not officially into the event until your check is received and cashed and the application is filled out online. No team will be entered without both tasked accomplished. Once check is cashed, there is NO refund. -Note: This event will fill fast this year due to new facility announcement and registration may close early as did the Great New York State Fair Cup. 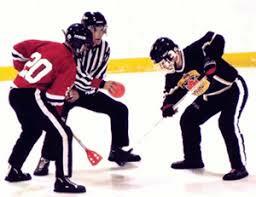 Officials: USA Broomball officials will be flown in for this event and we will follow USA Broomball rules. Schedules/Scores/Standings: All games will be updated in live time as they are completed online. Teams can look at all updates from their phone. Phone Users: Scroll down for application process. By submitting this form, I am fully responsible for full payment and all other information that is necessary for this tournament. I understand that after the deadline has passed, there will be no refunds. I also understand that my application is not fully completed until my team is paid in full. Tournament rules are currently being updated.